A healthy lunch box is key to fuelling your kids with wholesome foods to keep them focused, energized and nourished throughout the day. 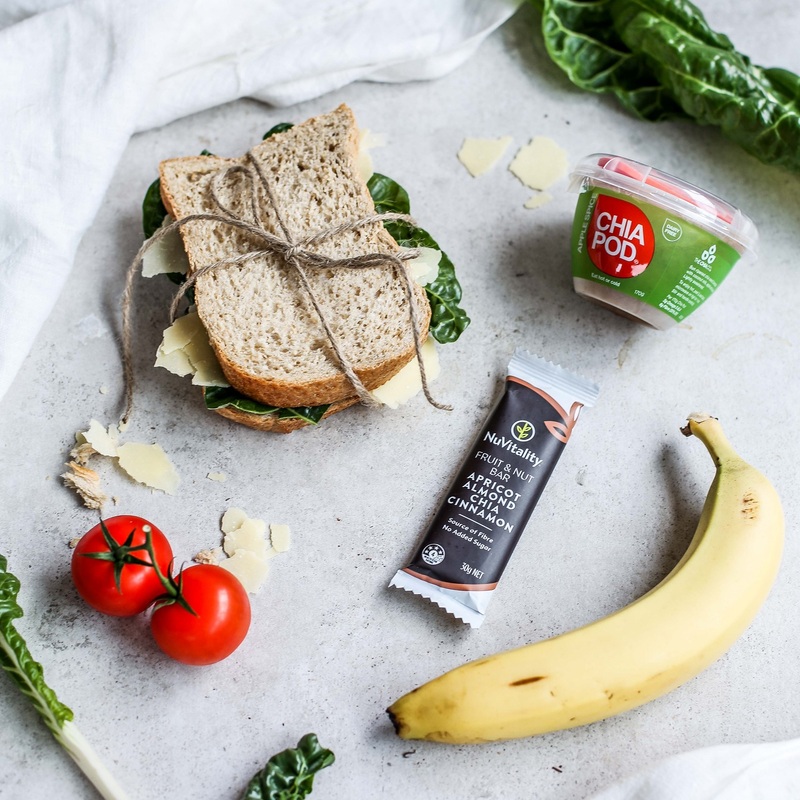 Below are my top food swaps that will help you provide your little ones with a nutritious and yummy lunch box – that will be both eaten and enjoyed! Sandwiches are a quick and easy lunch to whip up. Swap your white bread sandwiches for a high-quality sourdough bread or buckwheat loaf. White bread can be made from refined grains and bleached flours and often contains additives and sugar. Invest in a bread that is organic, sugar-free and contains plenty of wholegrains. My top picks are Naturis gluten-free buckwheat loaf or HealthyBake Bavarian Sourdough. A typical Juice box is often made from fruit concentrate (instead of fresh fruit) and can be filled with added sugar and additives. For active little ones who run around all day, a hydrating and refreshing coconut water is a far more nutritious option. Coconut water provides a natural source of electrolytes and has a natural sweetness perfect for kids. Rice crackers may look healthy but are frequently filled with sugar, vegetable oils and flavour enhancers. Flats on the other hand are filled with veggies, seeds and natural flavours mixed together and dried. They even have nut-free varieties for those schools that are allergy sensitive. The kiddies can munch on these alone or with some smashed avocado. To read the rest of this article written for GoodnessMe Box, click here.